List of laws related to the Fiscal and Economic Reconstruction of Puerto Rico, and to fiscal, financial and economic development matters overall, approved by the Puerto Rico Legislative Assembly and signed into law. December 8, 2015 - Act No. 208 - To create the “Puerto Rico Fiscal Oversight and Economic Recovery Organic Act,” in order to establish the public policy, definitions, and rules of interpretation of this Act; create the “Fiscal Oversight and Economic Recovery Board”; require the filing of a consolidated five-year Fiscal and Economic Growth Plan for the Commonwealth of Puerto Rico with said Board; require the Board to review and approve the Fiscal and Economic Growth Plan if the objectives of this Act are met; require certain government entities to file their annual budgets with the Board for the latter to determine whether such budgets comply with the Fiscal and Economic Growth Plan, require the Board to certify compliance with approved budgets, and impose certain expenditure control mechanisms; amend Sections 3 and 4 of Act No. 147 of June 18, 1980, as amended, better known as the “Office of Management and Budget Organic Act”; amend Section 4 of Act No. 230 of July 23, 1974, as amended; and for other purposes. November 18, 2015 - Act No. 188 - To amend Articles 2, 3, 4, and 5 of Section 1 and Articles 2, 3, 4, and 5 of Section 2 of Act 185-2014, known as Private Equity Funds Act, to clarify definitions, the application of tax benefits and conditions, make technical amendments, and for other purposes. July 2, 2015 - Act No. 102 - To amend the last paragraph of Section 27A (a) of Act No. 45 of April 18, 1935, as amended; amend Section 16(4) of Act No. 138 of June 26, 1968; add a new subsection (7) to Section 10(d) of Act No. 139 of June 26, 1968, as amended; amend Section 6 of Act No. 39 of May 13, 1976, as amended; amend the second paragraph of Section 3 of Act No. 1 of June 26, 1987, as amended; in order to require the State Insurance Fund Corporation, Temporary Non-occupational Disability Insurance, and the Automobile Accident Compensation Administration to invest certain funds in tax and revenue anticipation notes issued by the Commonwealth of Puerto Rico and/or other instruments issued by any instrumentality of the Commonwealth of Puerto Rico for similar purposes; suspend during fiscal year 2015-2016 the monthly transfers made by the Secretary of the Treasury to the “Special Tax and Revenue Anticipation Notes Redemption Fund”; provide that the Commonwealth of Puerto Rico may issue tax and revenue anticipation notes under the laws of the State of New York during fiscal years 2015-2016 and 2016-2017; and to create the “Emergency Liquidity Fund”; among other purposes. July 1, 2015 - Act No. 101 - To amend Section 3 of Act No. 91-2006, as amended, known as the “Dedicated Sales Tax Fund Act”; amend Section 2 of Act No. 116-2013, as amended; amend Sections 4020.01, 4020.02, and 4120.01 and add a new Subtitle DDD to Act No. 1-2011, as amended, in order to make reference to the specific tax the revenues of which shall be covered into the Dedicated Sales Tax Fund, clarify the tax rates and surtaxes applicable to the sales and use tax and the value-added tax, and amend Section 33 of Act No. 72-2015, in order to increase the number of legislators designated to the Consumption Tax Transformation Alternatives Commission (CATIC, Spanish acronym); among other things. March 13, 2015 - Act No. 29 - To amend subsections (a), (b), (e), and (h) of Section 12A of Act No. 74 of June 23, 1965, as amended; amend subsections (a), (c), (d), (h), and (j) of Section 34 of Act No. 44 of June 21, 1988, as amended; amend paragraph (ii) of subsection (a); add a subsection (g), renumber subsections (g), (h), (i), (j), (k), and (l) as subsections (h), (i), (j), (k), (l), and (m) and amend paragraph (l) of renumbered subsection (h) of Section 3020.07; amend paragraph (ii) of subsection (a), add subsection (g) and renumber subsections (g), (h), (i), (j), (k), and (l) as subsections (h), (i), (j), (k), (l), and (m); and amend paragraphs (1) and (9) of renumbered subsection (h) of Section 3020.07A; amend paragraph (1) of subsection (a) of Section 3060.11, and subsections (b) and (f) of Section 3060.11A of Act No. 1-2011, as amended, known as the “Internal Revenue Code for a New Puerto Rico,” to provide for the effectiveness of the statutory lien on the income of the Highways and Transportation Authority, as well as for the modification of the excise tax on the crude oil, partially finished, finished oil by-products, or any other hydrocarbon blend; clarify the scope of the use authorized for Pledged Revenues; modify certain limitations applicable to the debt to be issued by the Puerto Rico Infrastructure Financing Authority; provide for the adjustment of the rate applicable to the excise tax on crude oil, partially finished, finished oil by-products, or any other hydrocarbon blend; and for other purposes. February 27, 2015 - Act No. 25 - To amend paragraph (1) of subsection (a) of Section 5 of Act No. 20-2014, known as the “Puerto Rico Capital Reinvestment Act”; eliminate clause (iii) of subparagraph (D), and add a subparagraph (H) to paragraph (10) of subsection (b) of Section 1034.04, and amend paragraph (6) of subsection (e) of Section 1082.02 of Act No. 1-2011, as amended, known as the “Puerto Rico Internal Revenue Code of 2011,” in order to make technical amendments, clarify the nature of the debt that is eligible for payoff, the tax basis, and the ownership period of the eligible property thereunder. October 7, 2014 - Act No. 172 - To amend Sections 3 and 4 of Act No. 1 of June 26, 1987, as amended, in order to clarify the revenues of the General Fund to be deposited in the “Special Tax and Revenue Anticipation Notes Redemption Fund,” empower the Secretary of the Treasury to establish a lien on such revenues and separate the Special Fund with a third-party trustee; authorize the Secretary of the Treasury to include the terms and conditions deemed necessary and convenient for the sale of such notes; and for other related purposes. August 3, 2014 - Act No. 123 - To create the Puerto Rico Integrated Transportation Authority; set forth its purposes, duties, and powers; authorize the Highways and Transportation Authority to transfer to the Authority the operations, assets, rights, obligations, properties, and funds related to the Urban Train and the mass transportation programs operated by the Highways and Transportation Authority; authorize the transfer of property and funds; appropriate funds; authorize the merger of the Metropolitan Bus Authority and the Maritime Transport Authority of Puerto Rico and the Islands Municipalities into the Authority; and for other purposes. July 1, 2014 - Act No. 72 - To amend Section 6 of Act No. 116-2013 in order to suspend the effectiveness of Sections 2 and 4 of said Act, which increase the amount of the Sales and Use Tax revenues deposited in the Dedicated Sales Tax Fund to the beginning of the fiscal year following the date on which the Puerto Rico Dedicated Sales Tax Financing Corporation issues bonds or notes whose source of repayment is contingent upon such increase. February 27, 2014 - Act No. 32 - To create the “Puerto Rico Aircraft Maintenance, Repair, and Overhaul Industry Promotion Act”; add a new paragraph (S) to Section 2(d)(1) and amend Section 10(a) of Act No. 73-2008, as amended, known as the “Economic Incentives Act for the Development of Puerto Rico,” in order to establish the legal framework needed to promote the establishment of an Aircraft Maintenance, Repair, and Overhaul Industry (MRO) in Puerto Rico; and for other related purposes. February 13, 2014 - Act No. 24 - To add Sections 4, 5, and 6 to Act No. 164-2001, as amended, in order to require various government entities to execute advances and repayment agreements and restructure and refinance their debt with the Government Development Bank for Puerto Rico, and authorize the necessary budget appropriations to honor the payment of the principal, interest, and other related payments; amend Section 8 of Act No. 164-2001, as amended, in order to postpone the suspension of the prohibition therein until June 30th , 2014 and establish a $100 million maximum limit for the loans to be granted by the Government Development Bank as an exception to the prohibition set forth in said Section; amend Section 11 of Act No. 164-2001, as amended, to establish a penalty for granting financing in contravention with the provisions of Section 12; add Section 12 to Act No. 164-2001, as amended, in order to require government entities to have a source of repayment approved by their governing body and/or the Legislative Assembly prior to obtaining any loan from the Government Development Bank for Puerto Rico, subject to certain exceptions; renumber Sections 4, 5, 6, 7, 8, 9, 10, 11, 12, and 13 of Act No. 164-2001, as amended, as Sections 7, 8, 9, 10, 11, 13, 14, 15, 16, and 17; amend Section 1 of Act No. 12 of May 9, 1975, as amended, in order to increase the maximum amount of the principal of notes and other obligations of the Government Development Bank for Puerto Rico that may be guaranteed by the Commonwealth of Puerto Rico; and amend Section 1 of Act No. 6 of May 24, 1960, as amended, to empower the Government Development Bank for Puerto Rico to require the agencies, instrumentalities and other departments of the Commonwealth of Puerto Rico to maintain their funds in deposit accounts and other instruments issued by the Government Development Bank for Puerto Rico. January 2, 2014 - Act No. 1 - To amend Section 19 of Act No. 103-2006, known as the “Commonwealth of Puerto Rico Government Fiscal Reform Act of 2006,” in order to direct the agencies and instrumentalities of the Commonwealth of Puerto Rico to set aside, at least, five percent (5%) of the funds earmarked for television advertisement expenses to contract the services of the Puerto Rico Public Broadcasting Corporation; establish exceptions; and for other purposes. December 24, 2013 - Act No. 160 - To establish the “Commonwealth of Puerto Rico Teacher’s Retirement System Act”; repeal Act No. 91-2004, as amended, known as the “Commonwealth of Puerto Rico Teacher’s Retirement System Act”; repeal Act No. 38-2001, as amended; repeal Act No. 162-2003, as amended; repeal Act No. 49 of May 23, 1980, as amended; and for other related purposes. July 30, 2013 - Act No. 93 - To create jobs by reforming the legislation regarding investment companies; create the “Puerto Rico Investment Companies Act of 2013”; facilitate and incentivize the investment and raising of capital in Puerto Rico through investment companies; modify the tax treatment to be granted to such investment companies; amend Act No. 1-2011, as amended, known as the “Internal Revenue Code for a New Puerto Rico”; and for other related purposes. June 30, 2013 - Act No. 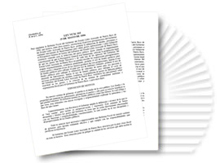 47 - To authorize the issue of bonds of the Government of the Commonwealth of Puerto Rico and the issue of bond anticipation notes in a principal amount that shall not exceed one hundred million dollars ($100,000,000) to cover the costs of necessary public improvements and the cost of the sale of such bonds and notes; provide for the payment of the principal and interest on such bonds and notes; authorize the Secretary of the Treasury to make provisional advances from the General Fund of the Commonwealth Treasury to be applied to the payment of the costs of said improvements and said sale of bonds and notes; empower the agencies and instrumentalities of the Commonwealth of Puerto Rico to acquire the necessary real and personal property and to exercise the power of eminent domain; and exempt said bonds and notes and interest thereon from taxes; and for other purposes. June 30, 2013 - Act No. 45 - To create the Fiscal Reconstruction Fund, under the custody of the Department of the Treasury; authorize the Government Development Bank (GDB) to transfer to such Fund two hundred forty-five million dollars ($245,000, 000), whether from its own funds or from private financing; provide for the repayment thereof according to the terms agreed upon between the GDB and the Office of Management and Budget (OMB); provide for the use of such Fund; amend Section 8 of Act No. 164-2001, as amended, in order to suspend during Fiscal Year 2013-2014 the prohibition on financing whose sources of repayment are future budget appropriations from the General Fund. June 25, 2013 - Act No. 30 - To amend the fourth paragraph of Section 23.01 of Act No. 22-2000, as amended, known as the “Puerto Rico Vehicles and Traffic Act,” in order to modify the amount of money covered into the Special Deposit in the name and for the benefit of the Puerto Rico Highways and Transportation Authority; and for other purposes. April 4, 2013 - Act No. 3 - Pension Reform Act. February 28, 2013 - Act No. 2 - To amend Sections 2101 and 2102 of Act No. 120-1994, as amended, known as the “Internal Revenue Code of 1994,” regarding the imposition of an excise tax on certain products wholly or partially manufactured or produced in Puerto Rico and services related thereto, acquired by non-resident individuals, corporations, and partnerships from entities affiliated to the buyer. August 4, 2012 - Act No. 155 - To amend Section 3 of Act No. 122-2010, as amended, known as the “Mi Nuevo Hogar Program Financing Act,” to clarify certain provisions; and for other purposes. July 14, 2012 - Act No. 133 - To amend Sections 2 and 6 of Act No. 91-2006, as amended, known as the “Dedicated Sales Tax Fund Act,” in order to add that the moneys received from bond issues or through other financing mechanisms may be used to defray or finance the operating expenses of the Government of Puerto Rico corresponding to Fiscal Year 2012-2013; provide that the Puerto Rico Economic Stimulus Fund, also known as the Stabilization Fund, may be funded with the proceeds of the bond issues of the Puerto Rico Sales Tax Financing Corporation and any other funds deposited therein; provide that the funds deposited in the Puerto Rico Economic Stimulus Fund may be used for all the purposes listed in Section 2 of Act No. 91-2006, as amended; and for other purposes. January 17, 2012 - Act No. 22 - To establish the “Act to Promote the Relocation of Individual Investors to Puerto Rico,” in order to provide a tax credit for the investment income earned by individuals who become residents of Puerto Rico not later than the year ending on December 31st, 2035. July 1, 2011 - Act No. 111 - To amend Section 2 of Act No. 20 of April 9, 1976, as amended, in order to transfer the sum of six million seven hundred fifty-two thousand dollars ($6,752,000) from the Fund for the Investigation and Audit of Financial Institutions and Gambling Casinos to the 2011-2012 Budget Support Fund. August 1, 2010 - Act No. 118 - To create the “Municipal Economic and Tourist Development Incentives Act,” in order to foster the economic development of municipalities. March 18, 2010 - Act No. 27 - To add subsection (q) to Section 3 of Act No. 22 of July 24, 1985, as amended, known as the “Economic Development Bank for Puerto Rico Act,” in order to give priority to loan applications from private businesses that wish to develop and manufacture new products using recyclable materials as raw material. December 29, 2009 - Act No. 209 - To amend Section 16 of Act No. 124 of December 10, 1993, as amended, which establishes an Affordable Housing Subsidy Program, in order to authorize the Housing Finance Authority to create the Mi Nuevo Hogar Program and to provide the parameters for its operation, application, and financing alternatives, among others. December 16, 2009 - Act No. 173 - To amend subclauses (1), (2), and (3) of clause (J) of the Fourth Paragraph of Article 2 of Act No. 17 of September 23, 1948, as amended, known as the “Government Development Bank for Puerto Rico Act,” in order to clarify certain aspects of the accounting system to provide reimbursements to the Puerto Rico Tourism Development Fund. July 10, 2009 - Act No. 37 - As amended, known as the “Special Act to Declare a State of Fiscal Emergency and to Establish a Comprehensive Fiscal Stabilization Plan to Salvage the Credit of Puerto Rico”; and for other related purposes. June 8, 2009 - Act No. 28 - To amend Section 5 of Act No. 9 of March 9, 2009, known as the “Puerto Rican Economic Stimulus Plan Act,” in order to clarify the matter of the interest rate on second mortgages. May 22, 2009 - Act No. 18 - To amend Sections 2, 3, 4, and 5 of Act No. 91 of May 13, 2006, as amended, known as the “Dedicated Sales Tax Fund Act,” in order to make various technical amendments; to provide for the limits in the amount of bonds that COFINA may issue; to provide for the use of the subsidy to be received by COFINA under the Federal Program known as the “Build America Bonds”; authorize the issue of notes in advance of bond issues; and to provide for the creation and perfection of a lien on the revenues of the Sales and Use Tax that are deposited in the Dedicated Sales Tax Fund in favor of the bondholders. January 14, 2009 - Act. No. 4 - To amend Act No. 164 of December 17, 2001, in order to increase to two hundred million (200,000,000) dollars, up to June 30, 2011, the limit of loans that the GDB may grant, whose repayment sources are future budget appropriations from the General Fund, without these appropriations having been approved by the Legislature. January 14, 2009 - Act No. 3 - To amend the “Puerto Rico Infrastructure Financing Authority Act” (Act No. 44 of June 21, 1988, as amended) to (i) authorize the sale of the securities deposited in the Corpus Account of the Infrastructure Development Fund, (ii) establish the portion of the net product of said sale that shall remain deposited in the Corpus Account; and authorize various other uses. January 14, 2009 - Act No. 2 - To amend the “Commonwealth of Puerto Rico Government Fiscal Reform Act of 2006” (Act No. 103 of May 25, 2006) to suspend for two fiscal years, until June 30, 2011, the prohibition to use debts, loans, or any other financing mechanism to cover operating expenses. January 14, 2009 - Act No. 1 - To amend the “Dedicated Sales Tax Fund Act” (Act No. 91 of May 13, 2006, as amended) to increase the amount of revenues from the sales and use tax to be deposited into the Dedicated Sales Tax Fund and to authorize the Puerto Rico Sales Tax Financing Corporation to use the proceeds of any bond issue whose repayment is backed by such revenues to cover operating expenses of the Commonwealth of Puerto Rico for FYs 2008-2009, 2009-2010 and 2010-2011. August 9, 2008 - Act No. 241 - To amend subsections (k) and (p) of Section 2 of Act No. 78 of September 10, 1993, as amended, known as the “Puerto Rico Tourist Development Act of 1993,” for the purpose of granting a new credit for tourist investment that facilitates the acquisition and installation by the tourist hostels of equipment capable of producing electric power through renewable energy sources such as wind, water, and solar energy; and for other purposes. July 20, 2008 - Act No. 125 - To authorize the “Act to Transfer the Right to Collect Tax Receivables of Puerto Rico of 2008,” with the purpose of authorizing the Department of the Treasury, on behalf of the Commonwealth of Puerto Rico, to sell, assign, exchange, negotiate, transfer, dispose of or transmit to other persons tax receivables or the right to receive payments on account of tax receivables or any interest thereon; to establish the collection procedure; to establish the rights and obligations of persons involved in the transaction; to impose penalties; to create the Special Tax Receivable Fund as an independent instrumentality, attached to the Government Development Bank for Puerto Rico, with the authority to issue securities and to use other mechanisms to pay or acquire the right to receive payments on account of tax receivables or any interest thereon; to authorize, as an exception, the issue of special obligations; and for other purposes. July 15, 2008 - Act No. 110 - To amend subsection (i) of Section 5, amend Section 8, amend subsection (b) of Section 9, and amend Sections 12 and 15 of Act No. 362 of December 24, 1999, known as the “Act for the Development of the Film Industry,” in order to clarify the purposes for which moneys collected on account of filming organization license fees may be used, to expedite tax credit certification, and to maximize the economic impact of such incentive; to provide for its effectiveness; and for other purposes. April 2, 2008 - Act No. 33 - To establish the “Public Service Quality Monitoring Program” in every public agency, instrumentality or corporation rendering direct services to the population; to define the responsibilities of the public entities and for other related purposes. December 14, 2007 - Act. No. 204 - To amend subsection (a) of Section 6.02 of Act No. 255 of October 28, 2002, as amended, known as the “Cooperative Savings and Credit Unions Act of 2002,” to broaden the considerations related to indivisible capital. December 14, 2007 - Act. No. 197 - To add Section 1040K, Section 1040L and subclause (G) to clause (1) of subsection (b) to Section 1114 of Act No. 120 of October 31, 1994, as amended, known as the “Puerto Rico Internal Revenue Code of 1994,” in order to establish the “Newly Built Housing Acquisition Tax Credit Program” and the “Existing Housing Acquisition Tax Credit Program,” to grant a tax credit for the acquisition of certain housing units and for other purposes. August 31, 2007 - Act. No. 115 - To amend [...] Act No. 74 of July 23, 2007, authorized the issue of bonds of the Commonwealth of Puerto Rico in a principal amount which shall not exceed five hundred million (500,000,000) dollars, and the issue of notes in advance of bonds to cover the cost of necessary public improvements and the cost of the sale of such bonds; and for other purposes. July 29, 2007 - Act. No. 81 - To amend [...] Act No. 64 of July 3, 1996, as amended, known as the “Municipal Financing Act of 1996.
the protection enjoyed by the holders of the bonds issued by COFINA. April 5, 2007 - Act. No. 33 - To amend clause (12) of subsection E of Section 1-106 of Act No. 447 of May 15, 1951, as amended, known as the “Employees Retirement System of the Government of Puerto Rico and its Instrumentalities Act,” in order to eliminate the minimum requirement for time served as Municipal Legislator for accreditation in the Employees Retirement System of the Government of Puerto Rico. December 26, 2006 - Act No. 291 - To amend Sections 2, 3, 4, and 5 of Act No. 91 of May 13, 2006, entitled “Urgent Interest Fund Act,” in order to establish the annual fixed amount of revenues originating from the sales and use tax that shall be covered directly into said Fund; to establish the financial structure to pay or refinance the extraconstitutional debt through the issue of bonds and other debentures payable and secured by pledging a fixed amount from the first revenues generated by the sales and use tax deposited into the Urgent Interest Fund; to empower the Secretary of the Treasury, the Director of the Office of Management and Budget, and the Government Development Bank for Puerto Rico to carry out the duties and responsibilities imposed by this Act; to authorize the creation of a subsidiary of the Government Development bank for Puerto Rico, to be called the “Puerto Rico Urgent Interest Fund Corporation,” with the power to issue bonds or use other mechanisms to pay or refinance the extraconstitutional debt; and for other purposes relative to the purposes of this Act. May 25, 2006 - Act No. 103 - To implement the Fiscal Reform of the Commonwealth of P.R. of 2006. May 13, 2006 - Act No. 90 - To authorize the GDB to grant a loan to the Department of the Treasury to cover the payroll of the central government and its deficit for fiscal year 2005-2006. May 13, 2006 - Act No. 89 - To amend the "P.R. Internal Revenue Code of 1994"
May 13, 2006 - Act No. 88 - To amend the "Tax Incentives Act of 1998" to increase the tax rate to be withheld on royalties paid to persons not residing in P.R. May 13, 2006 - Act No. 87 - To create the "Act for the Integration of Incentivized Revenues To Cover Insufficiencies Due to Excess in Government Spending and Give Fiscal Attention to the Finances of the State"
May 13, 2006 - Act No. 86 - To order OMB to study the development and implementation of a Certification Information System so government agencies can process and access information under the custody of other government agencies. May 2, 2006 - Act No. 80 - To amend Sections 1, 3, 8 and 9 of Act No. 160 of December 21, 2005, to extend the term of the Incentive for the Speedy Payment of Fines until June 30, 2006, and for other purposes.